UPDATE: T-Mobile has been ranked highest in Total Ownership Experience by J.D. Power among full service U.S. wireless companies. T-Mobile today released their Q2 2016 results, and overall it looks like the Un-carrier had another solid quarter. T-Mobile added 1.9 million customers in Q2 2016, marking the 13th straight quarter with over than 1 million adds. T-Mo was a hair shy of having another quarter with more than 2 million total adds, but hey, 1.9 million isn’t too shabby. Of that 1.9 million, there were 890,000 branded postpaid adds (646,000 postpaid phone adds, leading the industry) and 476,000 branded prepaid adds. Branded postpaid churn was 1.27 percent, down from 1.32 percent in the year-ago quarter. The total number of devices sold or leased during the quarter was 8.9 million, including 8.1 million smartphones. T-Mobile ended Q2 2016 with 67.4 million customers, up from 58.9 million customers in Q2 2015. When it comes to the financials, T-Mobile pulled in $9.2 billion in total revenues, up from $8.2 billion in Q2 2015. Net income for the quarter finished at $225 million, down from $361 million in the year-ago quarter. On the network side, T-Mobile says that its 4G LTE service now reaches 311 million people, up from 308 million in Q1 2016 and 290 million in Q2 2015. Wideband LTE now reaches 224 million people, while Extended Range LTE covers more than 200 million POPs in 350 markets. T-Mo also says that VoLTE calls now make up 57 percent of the total voice call minutes, up from 16 percent in Q2 2015. Looking ahead, T-Mobile says that it entered into agreements in the Q1 and Q2 2016 to acquire 700MHz A-Block spectrum, and they’re expected to close in the second half of 2016. The spectrum covers 59 million POPs and include cities like Chicago, Nashville, Salt Lake City, and Columbus. 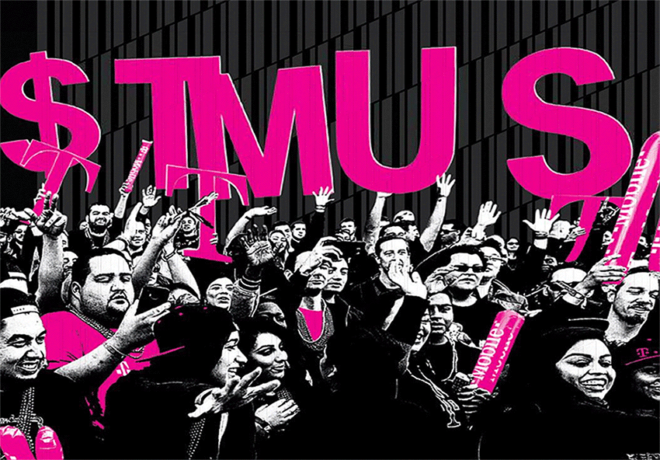 T-Mo also plans to roll out new 700MHz sites in 2016 in cities like San Francisco, Phoenix, San Diego, and Las Vegas. John Legere also gave us an update on T-Mobile Tuesdays today, reporting that the app has been downloaded nearly five million times and that there have been eight million clicks to redeem offers. The second quarter of 2016 was a big one for T-Mobile that included the launch of another Un-carrier initiative and the addition of nearly two million more customers. 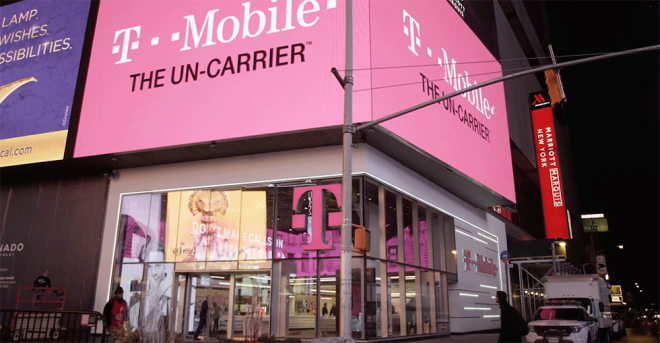 All of those customers have increased LTE coverage to look forward to, as T-Mo will be rolling out new 700MHz service in several cities across the U.S.
T-Mobile will be hosting a call today at 10:30 AM ET to discuss its earnings. I’ll be listening in and will report back with any interesting tidbits of info that John Legere and Co. share. When it comes to the financials, T-Mobile pulled in $9.2 billion in total revenues, up from $8.2 billion in Q2 2015. Very impressive. Much higher than Sprint’s $6.1 billion in revenue. Net income for the quarter finished at $225 million, down from $361 million in the year-ago quarter. And another quarter of profit. 8.5 million in one year. It’s safe to say that they’ll be over 70 million at the end of the year. The dip in profit on an additional $1 billion in revenue is at minimum troubling. That said, the haters said T-Mobile couldn’t possibly be profitable with the current rates in place. They’ve proven that to be nonsense. The dip in profit on an additional $1 billion in revenue is at minimum troubling. This is true. But I think it’s important to note that they continue to spend on their network by making improvements. We also need to remember that not all quarters are equal, hence the reason why we see the year-over-year metric being touted. That said, the haters said T-Mobile couldn’t possibly be profitable with the current rates in place. They’ve proven that to be nonsense. 13 quarters (39 months; 3 years, 3 months) in a row to be exact. Does that mean more people on the network and data will slow down? I dont want that. More customers means more money to invest in the network. Does that mean things will slow temporarily? Probably. In the long term it benefits everyone. Now, please announce changes to the extended LTE in the southeast!!! Most notable Mobile, AL to New Orleans. SO MANY GAPS down there. Buy out or lease what C-Spire owns down there and get it right please! All these people joining T-Mobile and when I travel I still can’t get good signal or get no service when in PA state. Someone explain that to me..
Tobyhanna PA and East Stroudsburg < in E.Stroudsburg I only had service in city but once you start going ^^^ only AT&T has good LTE and Verizon is weak,T-Mobile "No Service"
What phone do you have, Patt? I have had this discussion with folks in NYC. Case in point: I have a friend that recently purchased a Galaxy S3 privately and he does nothing but complain about slow web, no signal, etc. I try to explain to him that with an old phone, he won’t get access to several of the latest bands T-Mobile offers, thereby causing his dissatisfaction. I told him to crack open his wallet and get a current phone and he won’t have any of those problems. My suggestion falls on deaf ears. Amazing. Congrats T-mobile! T-mobile is The best thing to happen to the cell phone industry. So closing of Q2 for extended LTE in chicago means that it will be deployed when? I have had the extended LTE for ages in my area and its not a big advantage. I have forced my phone onto it (normally it picks the stronger signal) and its bloody slow. So I am sure it helps me somewhere (we have tons of the towers around me in LA) but honestly I haven’t really noticed any big differences, or Ah Ha moments. There are multiple buildings where I used to have no service at all and now I can get along just fine. You’re right about the speed though. Yeah, it wont fix where you already have service, it will just make rural areas and blanks spots disappear. This is the problem I have south of Mobile at home. No service inside, spotty service outside. I don’t care if its 2mbps, I just need service. I worder, should you contract with T Mobile and you can get an adequate consistent signal, will they vacate the contract? I have been with Verizon 14 years, so I have little info about others. I’m afraid zVerizon is shifting priority to new acquisitions. I’ve have no real issues, when I go to my parents house in semi-rural south Alabama there is an issue, Wifi would work, but seriously down ONLY their street, they have such bad internet options that the speed cant handle Voice via Wifi cell. so they had to switch down there to Verizon, but want to switch back once either internet speed increase or band 12 covers the gap. But when they backed out of T-Mobile, they were under contract, and they proved their “lack of coverage” and they got out un-penalized. Not trying to be a negative nelly, but Reps can’t unlock the devices in the stores. We can only point you in the right direction, which is the carrier who locked it in the first place. Or there are online services that can help. Plus, Tmobile software can’t be installed on a device that it isn’t meant for. Tmo has to design & optimize their software for all the phones they carry. Many of Verizon phones these days are unlocked out of the box though and are compatible with our LTE network! So that is definitely worth a shot, I usually throw my own sim card in the phone just to test it out. Just know that if you aren’t using a specific T-Mobile phone, you’re missing out on a good portion of the network. Each carrier gets the phones optimized to their frequencies. Many manufacturers will get radio chips that work on everything, but then carriers via software will lock it out except for their own. Well that’s good to know. I had always been told that the store will help you unlock and prep the phone for tmobile use including software. Glad you cleared that up. I’ll keep buying 100 dollar windows phones. Amazing for the dollar! Yeah, you’re not going to see a big advantage in a city like Los Angeles. Band 12 is definitely not ideal to use in big cities, as you’ve noticed, there is not a lot of bandwidth. However, if you go to rural areas, you will notice a huge difference. My parents live in a small town in Ohio. The entire county is covered by like 5 towers total, and T-Mobile coverage was very spotty. When Band 12 launched, the coverage became much better. It’s not as robust as AT&T and Verizon, but it’s now very close. I disagree, I get Band 12 coverage now in places all around Los Angeles where I previously had no coverage at all like in large buildings or underground in Metro stations. Big difference. B12 should theoretically give slightly better coverage than the old 800 MHz (Band 5) networks. Also, since bigger antennas should help tremendously, phablets should outperform smaller phones, all other things being equal. (In practice, some have better radios than others–my Nexus 6 significantly deafer than my Galaxy Note II despite having a newer SoC. Most likely Q4 unless they can get a lease agreement setup while the FCC reviews the purchase offer. Good to see a healthy magenta. I have watched T Mobile for years, but Mt concern for coverage and service has just now come into play. Just bought Samsung S7edge, so so. My wife has an S5 WHICH contract has run its to years, so she can move. I have a 24 month lease. If I want to bail and switch from Verizon where I have been for 14 years, what can you offer? tmobile will pay whatever balance you have on your phones if you 1. trade in the device, 2. finance a new device and 3. port-in your number from the other carrier. it takes about 8 weeks to receive the card and make sure you use a rep who knows exactly what they’re doing to submit your final bill from verizon. B12 has already been spotted in San Diego and LV. Deployment has begun. Can’t wait!! 32nd street was fine for me until I entered a building, Coronado was definitely hit or miss, same with the point Loma base, very spotty coverage. I hear ya. I have a friend who works for NavAir and he’s getting no signal. He’s thinking about switching to Sprint or Verizon. I told him to hang tight. But I don’t know if he will. I am glad that they are continuing to grow but TMO speeds and really taken a plunge especially in more populated areas like bay area. I remember getting speeds of 30-60 Mbps and now I am lucky to get 1-4 Mbps. Is there anything TMO is planning in the short term to address this issue? I get enough speed to watch videos in HD. I could care less about data speeds beyon that. Shrinking cells would help to a point. That point is when you switch to micro, pico, or femto cells. Femto and maybe pico is also where the new 5G standard(s) will come into play as the use millimeter wave frequencies and won’t go very far (much less penetrate walls). Was on at&t for many years. Bills kept going up, and with addition of smartphone fees and other bs my bill was getting crazy numbers like 180-220$ for 4 people and 300mb data to share. Switched to T-Mobile…it’s crap at my house but outside my house it works great, and I pay 120$ with taxes for 4 lines and 2gb data per person with roll over. I just went to Canada for a week, roaming was free, so I could use the internet and calls and text just fine from the moment I landed at no extra charge..
Where was I before this! You can switch to the new 4-line for $120 w/6GB data each. It used to be 10GB (the one I have) but if you only have 2GB then the 6GB is a no brainer. And it’s for the same price than what you pay now. LTE speed and ping has plunged in Sacramento as well. All these adds are making things slow down badly. Do the have carrier aggregation in Sacramento yet? I’m down by Modesto and haven’t seen it enabled yet, so when you’re on band 4 you average 15 – 30 Mbps and when you’re on band 12 you average 2 – 6 Mbps. I’d imagine band 12 is even more saturated in Sacramento. Is it possible for T-Mobile to upgrade their rural radio panels now, and then change the base stations later to support 600MHz & AWS-3 spectrum with those same panels? Or the radio panel must be made for 600MHz specifically? I thought the panels were universal and able to broadcast any on spectrum band the base station programs them for. Also, they seem to focus on mainly expanding coverage where there is 700MHz spectrum only. What about places where there is PCS spectrum only, like in some rural areas? I hope they co-locate on more towers using the PCS spectrum that’s available. There are areas in Mississippi that have no coverage and roaming was available before, but it has disappeared. When I drive to my parents home, I lose coverage in my home city, though the coverage map shows it should be available, and I even find myself with no coverage in more places in Jackson, MS. I hope the new iPhone has better radio signal strength, or T-Mobile can spread coverage with small cells and/or implement roaming once more. I will say this, Thank God for WiFi Calling. When I go on work trips where I have to travel to rural areas, most businesses have guest WiFi, and my parents’ home have WiFi so I can connect to talk and send text messages. My car has WiFi built in, but I have to pay $50 per week to use it for the whole week and my car connects to AT&T network. So I have found ways to have coverage, but it becomes costly at times, but Verizon and AT&T are just too expensive. And now Verizon is kicking people off of the unlimited plans. Incredible. I was thinking about switching to Cricket to give it a try after I finish my EIP. The “panels”, as you call them, are (near?) fully-contained radios, at least on PCS/AWS (microwave) bands–think like panel-style outdoor access points. I’m not sure on on the low-band stuff because the combiners and duplexers are so big (hence the need for an actual building). Anyway, tl;dr answer, yes, they would need different antennas–panels–at 600 MHz, especially if they’re combined radio-antennas like they have now that need no building and hang entirely off the tower. It’s very hard to make a broadband antenna that covers 200 MHz in that part of the spectrum. Also, Tmo has said they don’t intend to buy 600 MHz in areas where they already have B12; then again, with how congested the network is now, they may change their mind! AWS-3 is an extension to AWS-1 and is now called Band 66 just like Band 12 includes B13 and B17. Again, though, we won’t see deployments for at least a year, more likely two. And, as long as my phone holds out, I don’t intend to upgrade until that point without a very good reason. Thank you for your answer. I know technology has limits but it amazes me that you can have full bars one moment and then drop to nothing the next moment. Sometimes my phone will drop to 4G just so I can hold onto a call but plenty of times it just drops the call. I thought maybe things will be better if I had a device the supports the new EVS (Enhanced Voice Services), but I still have the iPhone 6S Plus until the new one model comes out. My Galaxy Note 4 seemed to hold a signal better and longer. There are so many areas here with 2G only or No Service, I hate that T-mobile killed the roaming with AT&T without replacing it with native coverage first. Jackson, MS is fine for the most part, but even in downtown near the hospital serviced drops to nothing, and when I go to work in the hospital, I have to rely on WiFi calling, also in Sams and Walmart. It seems when you walk in most buildings service goes to nothing. I hate CSpire owns the 700MHz spectrum here, but I hope a roaming agreement can be forged if CSpire utilizes VoLTE. This is why I thought the radio attennaes were at fault because T-mobile is utilizing the same ones in rural areas with only the base stations updated/changed. It’s great that t-mobile is doing very well, they have definitely come a long way. When I was still living in the Santa Clarita Valley in California it’s was crazy fast, but with the introduction of B12, it was quite annoying for it to connect to it as I knew it was going to be slow. Nonetheless I was happy that there was service. Now I’m staying in the north side of Houston, almost everywhere I go I have solid signal and decent speeds, hell even B12 surprised me with some so and so speeds. Johnny boy sure knows how to please his customers. I thought carrier aggregation, like Band 12+Band 4 or Band 12 +Band 2, would help with the slow data speeds of Band 12 alone. Or is carrier aggregation not available yet or at all? I honest have no idea if CA is even in Houston or in the SCV YET. I may be wrong, but I think it’s only in select markets. I’m sure someone here knows if it is or not. Looks like there’s a good chance of paying 70 million by Q1 of next year. Pre-metro merger they were less than half this size. Wow. I wish T-Mobile or Sprint bought Alltel instead of letting Verizon get their hands on it. Then more of my southeast areas, like Mississippi, would be covered in native coverage instead of No Service areas. Sprint roams a lot here thanks to CSpire, I hope T-Mobile and CSpire can start a roaming agreement after CSpire finishes it 700MHz buildout and move to VoLTE. They have already started the buildout, CSpire calls it Maximum Range LTE, instead of Extended Range LTE like T-Mobile. Lol. Question: Was in Alaska & Canada for a cruise this past week & noticed my Nexus 6P displayed Roaming in the notification bar the entire time when we were on land. And at various points either were on the TELUS, Rogers or ATT networks. Can I assume that I was not being charged roaming charges per TMO stated coverage maps on the Simple Choice plans? you should be fine with Simple Choice. was on same networks in Vancouver 2 months ago. No charges.